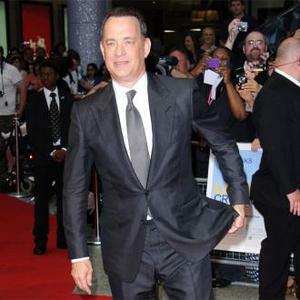 Tom Hanks is to play Walt Disney in a new movie. The 'Forrest Gump' actor has entered talks to appear in 'Saving Mr. Banks' - a film exploring the making of 'Mary Poppins' - as the studio boss, with Emma Thompson in line to play Australian author P. L. Travers. The movie follows the true story of Disney's 14-year courting of the author for the rights to the Mary Poppins character. Travers was displeased with the 1964 film, which starred Julie Andrews as the magical nanny, particularly the animated sequences, and was upset by the way the material was treated by Disney. Meryl Streep had initially been linked with playing the author in the film. Disney are making 'Saving Mr. Banks', with 'The Blind Side' director John Lee Hancock at the helm. Tom recently completed work on 'Cloud Atlas' and will next shoot 'Captain Phillips', while Emma can next be seen in 'Men in Black 3' and recently signed on to appear in 'Beautiful Creatures'.